Student loan debt is no joke. Yet neither is education, and it is becoming increasingly difficult to graduate without a hefty load of debt on your mind. 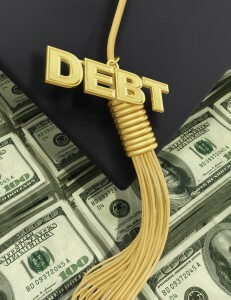 In fact, U.S. News & World Report noted 70 percent of students graduated with an average debt of almost $30,000 in 2013. The average for 2014 is expected to jump to $33,000. 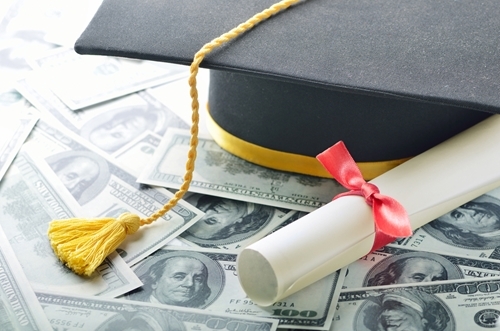 Overall, The Washington Post noted the total student debt amount is approaching $1.3 trillion. These are certainly scary numbers, but the answer is not to avoid getting an education, but rather to take control and pay it back, degree in hand. There are many tips and tricks that people have for paying back student debt, and there are few listed here as well. Yet remember that every situation is unique, so what works for some might not work for you. However, no matter what your situation, there is only one place to start when paying back student loans, and that is to take responsibility and face the situation realistically, according to MoneyTalksNews. "Paying off your student debt is like paying your future self." Focusing on the debt alone can be burdensome for the mental state. It just isn't healthy. Yet remembering the point of the debt and the purpose it served can put you in a positive place, which is necessary when facing the music. You have to be on your side and provide yourself support or you won't be able to tackle and defeat the debt monster. In fact, think of it more as dancing to the music rather than facing it. Many people go for the loan repayment option that is the cheapest because they feel it will be the most helpful to them financially. This is actually not the case. Sure, the monthly payments would be lower, but this costs more in the long run, according to Real Simple. Stafford, Perkins, PLUS and Direct Consolidation loans are the most common student loans, which make up 85 percent of all education-related debt. All of these loans include five repayment options, which begin with a small monthly fee and work up to a percentage of income. For instance, a standard plan requires minimum payments of $50 every month, and there are others that take a "reasonable percentage" of your income, as decided by the federal government. But these are only two of the options. The reason different options exist is because everyone's financial situation is different. 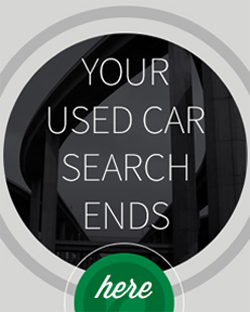 Don't just go with the cheapest monthly payments without considering the other options. Understand them all and put some numbers together. Remember, the point is to eliminate student loans, not keep them dangling around. "People often make the mistake of going with the option that has the smallest monthly payment, which causes them to pay thousands more in interest over the loan's life span," said Lauren Asher, president of the Institute for College Access & Success, a nonprofit working to make college more affordable, noted Real Simple. Don't stress about student debt. Remember the degree is worth it. Yes, that does sound crazy when you could be putting your money toward other items such as a house or car. However, if you have a bit of extra dough on hand, put it toward your student debt. Not only will this help you pay off the loan faster, it will help you with future payments. When you pay more than you owe that cost is carried over to the next payment, lowering what is due, according to Wise Bread. Now this doesn't mean pay more and then take a pass next month – absolutely not. Keep paying every month and when you can pay more than what is owed, do so. Remember, interest is tacked on to each monthly payment. The faster you pay off student loans the less interest will have accrued. Additionally, when you pay ahead you are lowering future interest. Think of it as paying your future self, the more you pay today, the less you pay in the future and all together. Additionally, this will help you prepare for unexpected expenses. If you are having a rough month and have already paid ahead, you have provided yourself a bit of cushion, which is always preferable to fall on. Certainly there are times when paying back student debt isn't the priority. 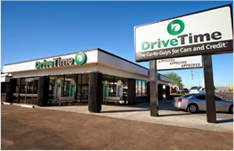 When finances are tight, immediate expenses need to be addressed. Though you should be budgeting and have an allotment for your student loans, unforeseeable expenses occur and there is just no avoiding it. But this doesn't mean you are out in the cold. There are options available to you. The Washington Post noted there are government programs which allow monthly payments to be capped based on an individual's financial standing. Unfortunately not enough people are aware of these programs and only 14 percent of Americans with student debt are utilizing these resources. "There is no question that we need better information, better loan counseling, outreach after people enter repayment to make sure that borrowers know their options," Asher said, reported The Washington Post. "And those options need to be improved." "Check out programs that provide assistance." Look into government programs and see what options are available. There are many options that have existed for some time, but the Obama administration expanded them a great deal. One example of a popular plan is known as the Income Based Repayment (IBR) program, which covers both new and old loans and places a cap on payments to around 15 percent of income. This program also forgives any balance that has been around for 25 years. So don't think just because your student loan debt has been haunting you for years means it's older than any assistance packages. While you may feel this is redundant, it is actually crucial. You have to have a plan in place to attack your student debt. Don't put it on the back burner or just think you'll be responsible enough to remember every month. Face your situation, set an allocation every month to repay your debt and move forward with your life. Repaying your student loans is repaying yourself. It is difficult to do the things you want to do when there is debt hanging over your head. You are not alone in this situation. Stand up, smile and shout from the top of the debt mountain once you've climbed it. or any other way. Then what should i do. It is ruining my education. Please give a easy solution.